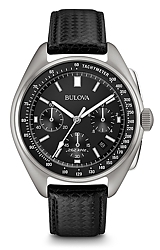 The world's most accurate watch with a continuously sweeping second hand. With a frequency of 262.144 kilohertz, Precisionist offers the highest vibrational frequency available in any watch today. This dramatic increase in frequency diminishes the effect of temperature fluctuations and produces extraordinary precision. Most quartz watches are accurate to 15 seconds a month. 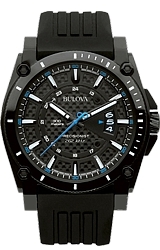 Bulova Precisionist is accurate to... 10 seconds... a year. The Precisionist is a quartz watch with a second hand that beats 16 times per second. As a result, the continuous motion of the Precisionist second hand is even more fluid than all mechanical watch second hands that beat only 8 to 10 times per second. 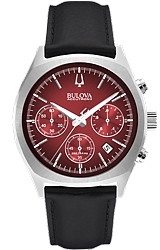 This marks the most comprehensive and potentially revolutionary product launch from Bulova since the debut of Accutron 50 years ago, Precisionist brings the watch industry a new sense of dynamism, an excitement that redefines the expected.